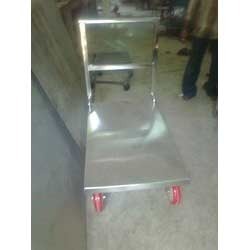 Our company is highly acclaimed in offering a wide range of Service Trolley. 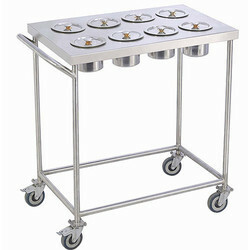 Service trolleys are widely used in restaurants and hotels for carrying platters and serving food items to the tables. These trolleys are easy to move around because of the attached wheels and the side handles. We manufacture the service trolleys with standard size, base weight and pole length along with the varied dimensions. 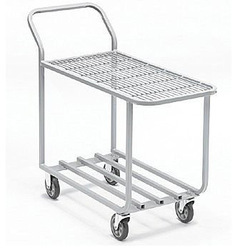 With multiple stacks, these service trolleys are highly useful for carrying many dishes at the same time. With the constant support of our expert team, we are engaged in offering a huge assortment of Kitchen Masala Trolley. The Masala Trolleys offered by us feature superior stainless steel finish to provide in them better durability standards. These are designed with multiple compartments placed one above the other to provide segregated & more storage space of a wide variety of masala containers. 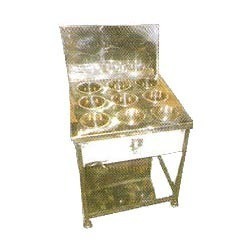 Banking on our enriched industry experience, we are engaged in offering a huge gamut of Masala Trolleys. Our masala trolley has stainless steel cups to hold different types of masalas. This masala trolley is perfect for use in kitchens of hotels, restaurants and fast food centers. It is also easy to clean and can store various spices. The aroma and taste of the spice is also maintained in this trolley. Banking on our enriched industry experience, we are engaged in offering a huge gamut of Platform Trolley. The unit fabricated out of o SS sheet and SS pipe. The unit mounted on heavy duty nylon wheel. The size is accordingly the clients’ requirements. We take into account the international quality standards set by the industry and offer suitable range of Platform Trolley.